Upgrade your boring wristwatch to something a little smarter. A smartwatch does more than just tell the time. Smartwatches have some of the capabilities of smartphones, and are usually fitness trackers as well. Above all, they are a fashion statement. They show that you are up-to-the-minute with wearable technology. Tech fanatics will be all over the current smartwatch trend. The Apple Watch has been out for just over a year, while competitors have been slowly trickling onto the market. The Apple Watch is only compatible with iPhones, so Android users who are keen to get enhance their digital experience must pursue other options (or convert to the dark side). Many smartwatches are compatible with both Android and iOS, so you are not limited to an Apple Watch if you are an iPhone user. Here are four of the most popular smartwatches, other than the ubiquitous Apple Watch. Samsung is known for their sleek smartphones which give iPhones a run for their money. The Samsung Gear S2 is the latest edition, released in October 2015. 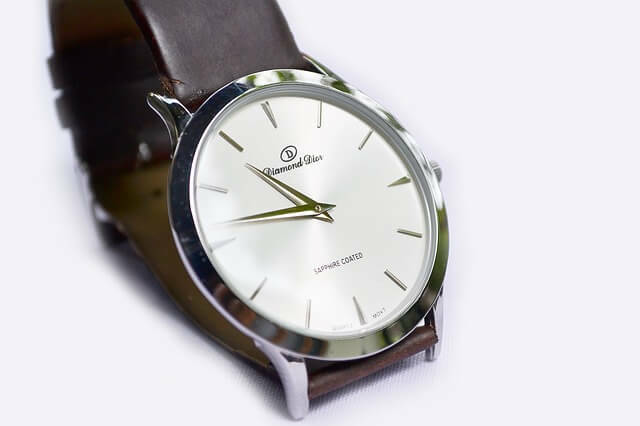 With a cute round face, it looks much like a regular wristwatch, but it is packed with useful features. It boasts a high-resolution touchscreen and is lightweight. You can perform some basic smartphone functions, such as replying to text messages. When you are not using the device, you can set the screen to display an analogue clock. What sets the Samsung Gear apart from its competitors is a unique, intuitive operating system. The Samsung Gear is compatible with Android devices, but runs the Tizen operating system. Pebble watches are the go-to for premium smartwatches with a classic appearance. As they are compatible phones running iOS as well as Android, they are a key competitor to the Apple Watch. With a long battery life and excellent integration with smartphones, Pebble watches are arguably the best smartwatch option at their price point. The Pebble 2 is arriving later this year, with plenty of new features including voice-to-text messaging via the watch. Pebble watches certainly beat out the competition in terms of aesthetics, and they have been generally well-received by users. The Sony Smartwatch was one of the first smartwatches to be available. Currently they are up to the Sony Smartwatch 3. With a large rectangular screen, it is similar in appearance to the Apple Watch. It is quite clunky, with a futuristic look. However, it has some excellent features, including social media integration. Keep an eye out for the next iteration, the Sony Smartwatch 4. Gaming product company Razer came out with their Nabu watch earlier this year. One screen tells you the time, the other screen allows you to make use of its ‘smart’ functions. Unlike its more fashion-forward competitors, the Razer Nabu is big and clunky. Its design is in line with other Razer products, which gaming fanatics may enjoy. It is certainly not the best looking smartwatch, but it does have other advantages, such as a week-long battery life and a lower pricetag. It is compatible with both iPhones and Android phones.